Brett Yohn, founder of Christian Challenge at University of Nebraska, shares the one word that captures the essence of Christian discipleship. Have you ever thought about what one word would encapsulate “discipleship?” I remember when the word “discipleship” was not used––yes, I’m that old. It was called “Follow Up” in the 60’s. Follow Up was popularized by Billy Graham and Dawson Trotman in the Graham Crusades. The first book dedicated to discipleship was Dr. Waylon Moore’s New Testament Follow Up. “Follow Up” has been replaced with “Discipleship.” Yet I have found that so many things fly under that banner that it has lost its meaning. What is one word that would get us back to the true meaning of discipleship? Here are some one-word descriptors that are prevalent, but are not the core of what Jesus had in mind. In fact, I think some of these are perversions of the word. Discipleship is Information? Yes, it involves information revealed by God in the Word, but it is more than that. Discipleship is Control? For some it is about power and control of one person over the other. For those who embrace that, isn’t it strange that Jesus never used that approach? Discipleship is a Program? There can be programs of study put together that are good and helpful, yet isn’t what Jesus set in motion more than a program? Here is my best shot at discipleship in one-word. I was driving with some students and staff to speak somewhere in the late Seventies. Missy Moss Reid was in the car. I asked everyone, “What is discipleship?” Missy, who is really smart, said, “Discipleship is relationship.” I think she nailed it. It is relationship with God––constant connection through Jesus as His adopted children. It is relationship with other believers––some older who can teach and model life and some younger who need encouragement. It is relationship with those who are not-yet-Christians. If you think about, aren’t the Navigators’ Wheel and The Disciple’s Cross in essence relationship? The Hub is relationship with Christ. The spokes are relating to God through the Word and Prayer vertically; relating to believers and not-yet-believers horizontally. Here is my one-word descriptor of discipleship––relationship. Mark 3:14 says of Jesus, “And He appointed twelve, so that they would be with Himand that He could send them out to preach…” With Him is the vertical. He so wanted them to know Him and to know them. “Send them out” is the horizontal. It involves information. It involves obedience to what Jesus says. It might involve a program or set of activities. But at the core is relationship. If you remove relationship, you do not have discipleship. In the Great Commission when Jesus said, “Go make disciples,” what was he commanding? Go help people have a relationship with God through Jesus’ death and resurrection, help them grow in their love and connection to God so that their lives begin to look like Jesus’ as he related to the Father. Then help them share their amazing relationship with God to all the nations. Discipleship is relationship. Without relationship, it may be a good thing, but it is not discipleship. An earlier version of this post appeared on Brett’s page, Passing the Torch to the Next Generation. There you will find lots of posts about discipleship, evangelism, and collegiate ministry. 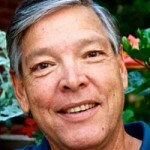 Brett has lived in Lincoln, Nebraska since 1972 when he started a Christian Challenge at the University of Nebraska. In 1985 he started New Covenant Community Church. He is now a speaker, college ministry consultant, and a teaching leader at his local church.